You received a new medical device as part of a treatment. It seems promising—you're part of the first wave of patients to receive the new device, and new technology is always more effective—right? But do you really know how safe that medical device is? Did you know that most medical devices haven't been tested much, or even at all, before they are used on patients? If you've been given a new medical device, you are essentially an experiment for the product. A medical device, unlike a prescription medication, is a medical product that works mechanically or physically for your body. Often, these products are implanted and operate in your body, such as hip implants, surgical mesh, and heart defibrillators. But after a while, the medical devices might start failing or causing problems that make you feel worse than you did before you had the medical device. Why Are Medical Devices Often Unsafe? While a medication must go through Food and Drug Administration (FDA) testing, a medical device does not. It's scary to realize how little testing a medical device goes through before it can go on the market and be used on patients. To have their product put on the market, manufacturers usually only have to fill out some paperwork and pay the FDA a fee of about $4,000. Only one of three FDA medical device classifications requires proof of clinical testing, and that's Class III. Class III includes the most risky medical devices, and it typically includes those that are implanted and support or sustain life. But even though Class III devices require testing, it's still not comforting—manufacturers can bypass the testing stage if the product is considered "substantially equivalent" to another product already on the market. That's not all. Medical devices typically don't have serial numbers. This means that if your medical device is defective and the manufacturer issues a recall, it's more difficult to alert you. Plus, it takes years to reclassify a device as a Class III risky product and get it tested. Thousands of patients could suffer during that time, and even then, testing wouldn't be as rigorous as it is for prescription medications. What Should I Do if I Need a Medical Device? Ask your doctor about your options. Find out if there are several types or brands of the recommended device that you can choose from, and ask your doctor if he or she has performed the procedure with this medical device before. Did his or her patients report any problems? You can also always ask what will happen if you don't receive the medical device—there might be a safer, alternative treatment. Do your research. One source might not tell it all, so aside from consulting your doctor, always check the FDA's website for up-to-date information on your medical device, as well as patient forums, clinical research reports, informative attorney websites, etc. Pay close attention to safety warnings, complaints, and recalls. Make sure not to only read the manufacturer's website. Keep medical records, including information about the medical device you receive. If a recall is issued or if you're experiencing a problem, it's important to know exactly what type of medical device you have. For example, many patients who received a hip implant might not realize it could be a metal-on-metal hip implant—a medical device that's causing severe problems over time. Watch for news or alerts concerning your medical device. Mainstream media typically announces large recalls, but it's also important to follow Consumer Reports, the FDA, etc. At Edgar Snyder & Associates, we have experience going up against the manufacturers that market unsafe medical devices. We think it's unfair that you were supposed to receive a tested, safe medical device, and instead, you suffered more injuries. Our attorneys have the resources to investigate your medical records, gather evidence, and use our 30 years of experience to build your case. We're here to work for you while you focus on your health. If you, or someone you love, are suffering from an unsafe medical device, you may have a case. Contact Edgar Snyder & Associates today for a no obligation, free legal consultation. And when we say there's never a fee unless we get money for you, we mean it. Call 1-866-943-3427, or fill out the form at the top right of this webpage for your free legal consultation. There's no time to waste—call and learn your legal rights today. 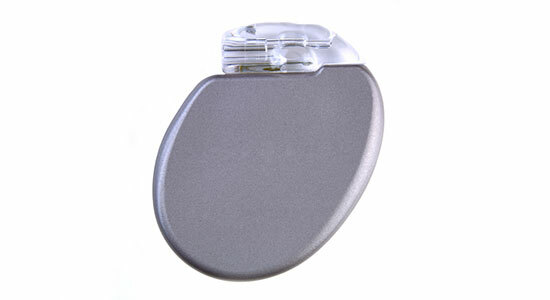 Source: “CR Investigates: Dangerous Medical Devices.” Consumer Reports. May 2012.